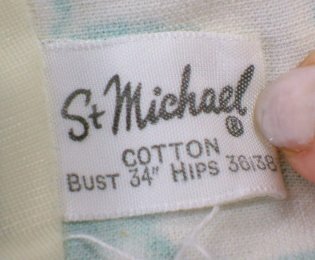 Gorgeous vintage 60s one-piece cotton swimsuit by St Michael. This is a beautiful swimming costume, in really excellent condition: it appears never to have been worn, in fact! Made from thick cotton, with bullet bra cups and a little skirt, it's a charming relic of the late fifties or early sixties. 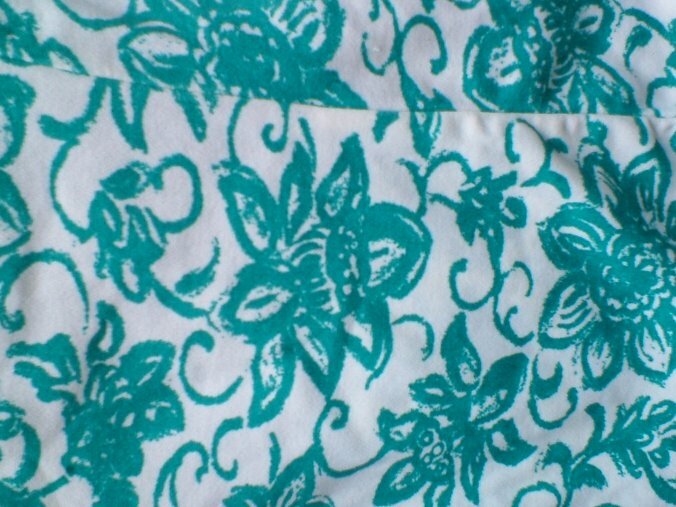 The main colour is white - still fresh and clean - and there is an all over pattern of flowers (daffodils? dahlias?) outlined in bluey-green.